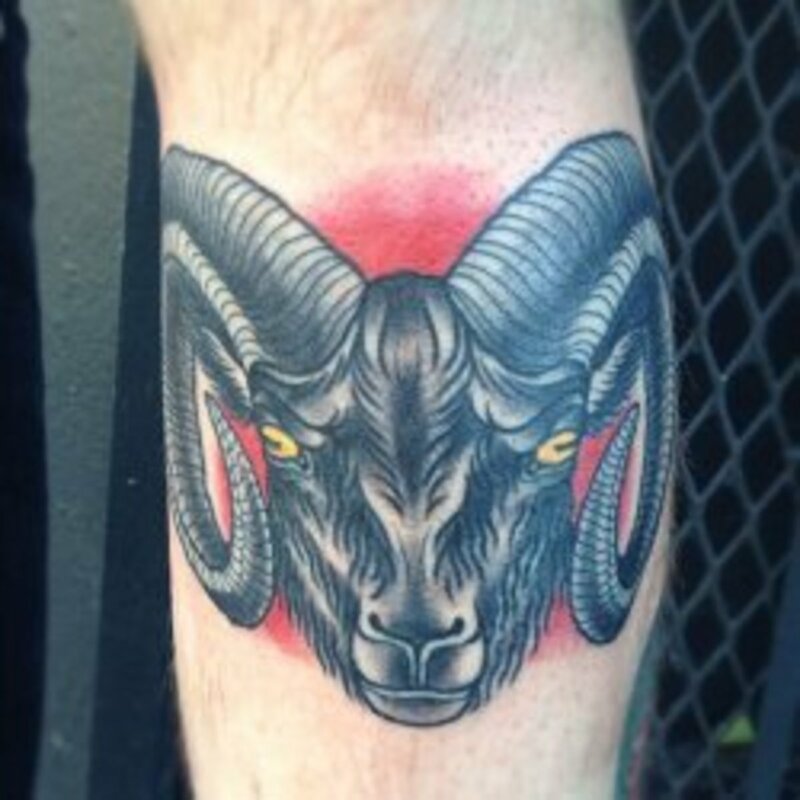 When you know the proper way to care for your tattoo, it's actually relatively easy. This article will explain how to take care of your tattoo from day one, ensuring the optimum results for it and the longest lifespan. Try to avoid cutting it, as the scarring does show through. When you first get a tattoo, it will be covered over. Keep this cover on it for at least 2-3 hours after leaving the tattooist's. Be careful when removing it because, depending on the material used, it can stick. You may need to apply some water to tease it off. 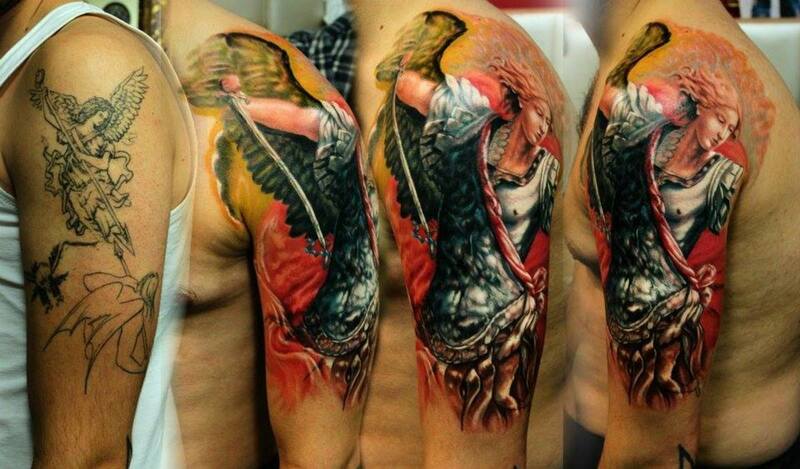 On removal of the covering, wash the tattoo with a mild antiseptic soap, then rinse thoroughly. Pat dry with a clean, soft towel, then apply some ointment. Repeat this 2-3 times per day. Choosing the right ointment is paramount in the healing process. Investing in the correct type of topical cream will reap the reward of a vibrant, long lasting piece of art. Preparation H. I highly recommend Preparation H ointment. Yes, it is Hemorrhoid cream, but it's also ideal for tattoos! It reduces swelling and itching, and soothes the area, which is perfect for an area of raw and irritated skin. It also preserves the colour perfectly and reduces scabbing. Ointment, not gel. Be sure to choose the ointment (you can get this from chemists or most supermarkets) and not the gel. For some reason the ointment works better, and the gel dries it out. Or pick your own. Feel free to make your own choice of course. Some people swear by Tattoo Goo or Bepanthen, for example. I have tried both, and I wasn't impressed by either, so I stick to Preparation H.
Avoid antiseptic creams. Whatever your choice is, do not use Savlon, or any similar antiseptic cream. Those will remove the colour. 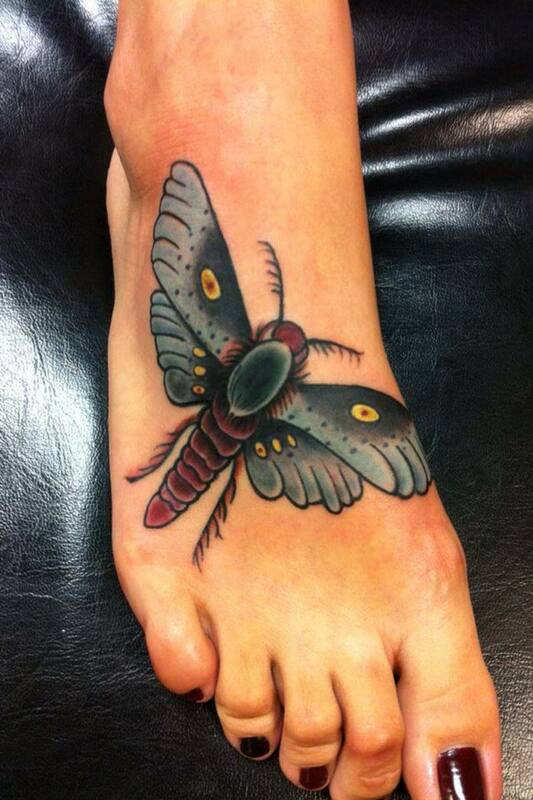 The routine cleaning of your tattoo should prevent any infection from setting in anyway. Use cling film. This step is my own recommendation. As someone with 13 large tattoos and no loss of colour on any, I have tried and tested this method and never had an issue. You will find people out there who will stamp their feet and declare that you must not do this, but as long as you follow the hygienic guidelines, you really shouldn't have a problem. After your cleaning process, which should be done typically 2-3 times a day (and at the very least, morning and night) and after you have applied ointment, re-cover your tattoo with fresh cling film. You can secure it with mepore tape or elastoplast. Be sure to use a new piece of cling film each time. Also, be aware that it will appear that your tattoo is "melting" if the film has been on a while. This is not the actual case, of course. It is simply the stuff that would otherwise turn into scab. This will not affect the colour of your tattoo, so don't worry! If anything, the cling film preserves the colour. It also prevents thick scabbing from forming which would "catch" and pull off, resulting in colour loss. I highly recommend this — particularly if your tattoo is in a location where clothes rub against it. 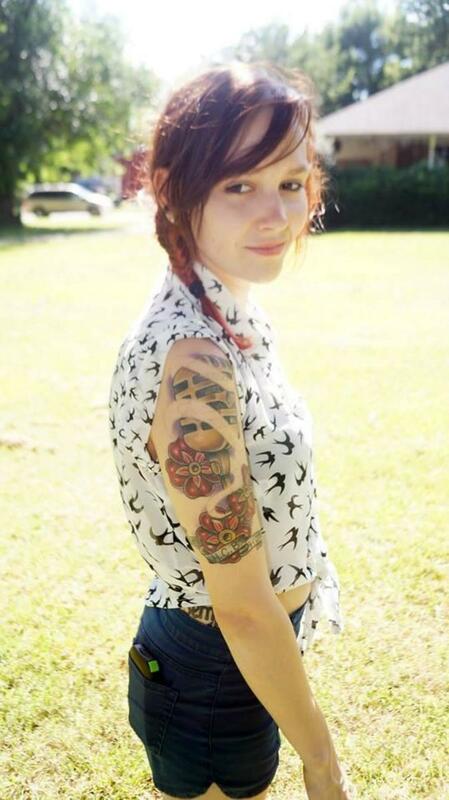 For example, I have a tattoo down my side and hip, onto my leg. I used this technique, and there was absolutely no colour loss from the waistband of my jeans or anything! Itchiness is greatly reduced, as is the "tight" sensation that normally happens. Once you try this, you won't go back, honestly! Even if you don't want to have the film on all day, use it at least through the night. You never want to wake up stuck to the bedsheets by your tattoo! Prying them off is painful, and can severely damage the colour! You can now stop using the cling film and, if desired, the ointment. Switch to a moisturiser if you choose to finish using the ointment at this stage, because the tattoo must be kept supple. Diprobase or E45 cream are both great, as they are unscented and lightweight, while being great moisturisers! The tattoo should now be fully healed. If not, just keep cleaning and moisturising! Remember that proper care continues well after the tattoo has healed. To reduce fading, avoid sun exposure where possible. If it is likely to be exposed to sunlight, put high level sunscreen on it, but be careful in the placement to avoid extra white bits! Keep the area well moisturised. 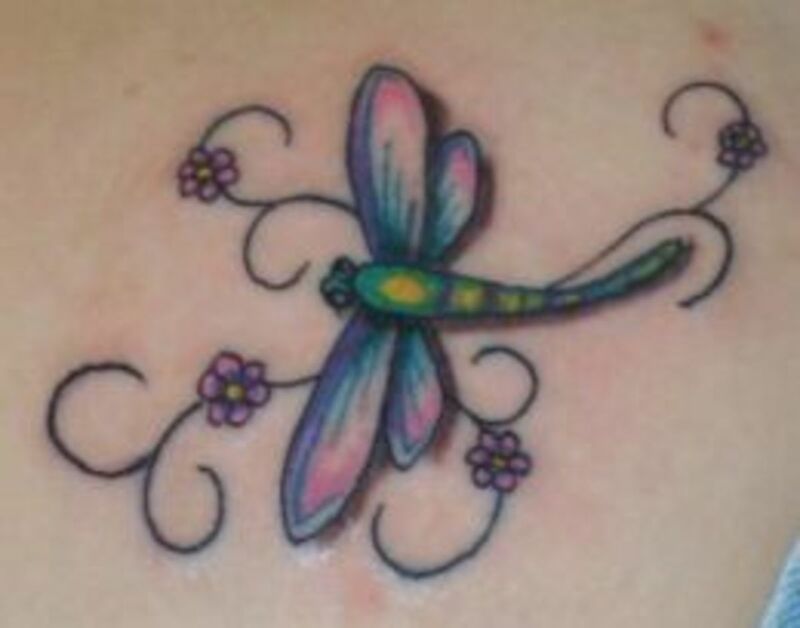 This will enhance the colours and make them look more vibrant, even as the tattoo ages. Gently exfoliate at least monthly if you don't already have this as part of your beauty routine. This will remove dead skin that would otherwise make the area look dull, you can use my cheap, effective sugar scrub recipe for this. I got a tattoo yesterday and i was wondering if Eurax cream is ok to use? Im sorry I don't know what this is. If it is the same as other creams mentioned in my hub, then I would assume so. But I can't recommend or comment on any other creams other than what I have used. Hi,is it ok to use cetraben cream on my tattoo I get done 3 weeks ago? Hi Ricky, no it doesn't seem to whenever I do it, however i am not in a really hot place so I couldn't really say. I got ya, wont the cling film sweat the ink out though? Hi, no sorry, I'm stumped. Swarfiga is nasty stuff to get near a tattoo at the best of times, never mind when it is just healing.... As mentioned before- get them done in small amounts which are easier to cover, and cover with cling film as mentioned in the article, but that is all I can think of. Slowly does it is the best way I'm afraid. We dont get a holiday period as such as in the summer, we have to book it off and our place is not the nicest place to work, and also this year my In-laws are coming over for summer so I need to book all my holidays off from work for when they are here, so do you have any ideas of what I can do to get mu arms inked whilst at work and to keep them clean as I mentioned it is the dirtiest place ever, normally we have to use swarfega on our hands and arms every couple of hours but obviously I cant do that whilst im having both my sleeves re done, so any ideas of how to keep them clean as I cant have any tight clothes on as it will pull the scabs away, also when I'm sandblasting in the incubator my hands and arms are sweating like crazy because of the teal long thick rubber gloves that are attached to the incubator so I got that to contend with too I dont need the ink being soaked and leaking out my skin, any ideas at all please get back, thank you. Hey, sorry you are having such a hard time with your tattoos healing. You should never get full sleeves done in one go- any decent tattooist will insist in sittings... if you do get inked in sittings it will be much easier to protect each bit as it heals. And it will also allow u to have the more exposed areas done at a time when they are likely to have more time to heal- summer holiday period, for example. Please take ur time, and also find a good tattooist who will take their time and do it properly. It will work out better (and probably cheaper) in the long run. Hi Lynsey hope you can help, I'm an engineer and at work it is very very dirty we get covered in grime, oil, dirt you name it, we have to wash our arms and hands so often as they are disgusting, my problem is I have just had 2 full sleeves done again (the first time it turned our really bad with fading and patchiness and lines not straight etc) just like a novice tattooist really, so always wanted it re inked to sort out the mess, so decided to have it done when we broke up for Christmas so time to heal and away from the dirt, so went ahead with it and yet again i chose another bad tattooist and my arms are now infected and I have cellulitis (Im on 8 antibiotics a day to sort this) but now my problem is once everything is healed I want it doing again as my arms are embarrassing but with the environment I work in how can I protect my arms from all the dirt grime slime oil etc, people say where a loose top but that wont work as mostly Im a sand blaster which is 1 of the dirtiest jobs going the grit/sand is black and gets everywhere as its so fine, and also I mainly do it in a cabinet which basically looks like an incubator with big long rubber gloves that i have to put my hands in to blast away, when I do it I normally where a long top with tubular bandages on my arms so it minimizes the black grit/sand getting too much up my arms but at the same time my arms and hands are soaking with sweat from the rubber gloves that are attached to the machine even if I dont use the bandages we still sweat as the rubber gloves make you like that, any suggestions hints and tips of how to get my arms re done once they have healed and still be able to do my job, I read on here about preperation h being water proof so that might be an idea but i would still have to have my arms covered up before i put my hands and arms into the big long rubber gloves to work in the sweating incubator, so how would I go about my job without getting caked in all the dirt I mentioned, I thought about using a long sleeve baggy top using preperation h, but then all that black grit/sand dirt etc will just stick to the preperation h and I cant use the tubular bandages as the sweet will be loads and also the preperation h will stick to it, also the preperation h will stick to my long sleeve top, I'm at a mess as I really cant think what to do, and I cant take anymore time off work as my boss is not the nicest of people shall I say, hope you can come up with something, sorry for the essay. Hi, Thanks for stopping by. Without seeing it, its hard to tell. However, I have had a few tattoos that have been sore for a good few days afterwards- usually ones on big muscles. Is it any better yet? Are you using anti bac soap to wash it?
" it will appear that your tattoo is "melting" if the film has been on a while. This is not the actual case, of course. It is simply the stuff that would otherwise turn into scab. This will not affect the colour of your tattoo, so don't worry!" - Thanks for writing this. No other site has this info. Woke up the morning after and nearly fainted when I saw blobs instead of my tat. The artist should've warned me. Do you know anything about using Fenistil for the itching? Hi Tatitat, thanks for stopping by and leaving your comment. That does sound amazing. I'll look into it, definitely. Or...you could just use Saniderm/Tegaderm/Dermalize (all different brands, but the same thing). I used the wash/ointment method for all my tattoos until this year. And then I had an artist put Saniderm on me. It changed everything. A breathable, waterproof film that sticks to the tattoo, keeps all dirt and bacteria out, and after the first piece you can leave it on for a week, no washing or ointment required? Sign. Me. Up. My tattoo healed quickly, and perfectly. I will never use anything else. Seriously, look it up. It blew my mind. Hi Neon Angel. Thanks for visiting and leaving a comment. If it is still in the healing stages, yes. What happens is the ointment softens any scabbing and it looks like a smudge. As long as you are not submerging in water it should turn out ok. 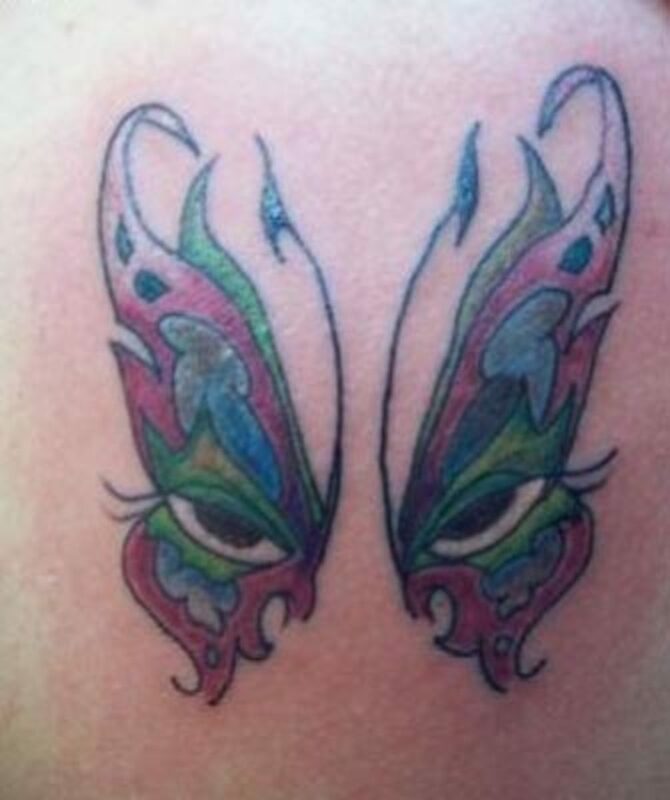 It is normal for the tattoo to look like its smudged when applying an aftercare ointment? Hi Elena, Im not sure what that is. I can only recommend the method that I use, which is detailed in the hub. I am not a doctor or dermatologist, so can't really tell you about alternative creams. I can however tell you that anything that makes it red or burny should be avoided. Can I use Calendula cream on my new tattoo? I put it on just twice until now, but it burns for 5 minutes and become red. IS it normal? Hi Benny, thanks for dropping by and leaving your comment. Yes, doublebase would be fine as it is also a simple emollient cream for dry skin conditions. Again, don't use too much. Hi i got a cover up last week and i used cocoa butter for The first week now scabbing is gone is it ok to use doublebase cream? I googled it and it looks to be a standard emollient cream similar to diprobase, so I don't think it would cause any issues. I've been using cetraben cream on new tattoo is this okay? Hi Shaun, I used anusol instead, and it worked a treat! 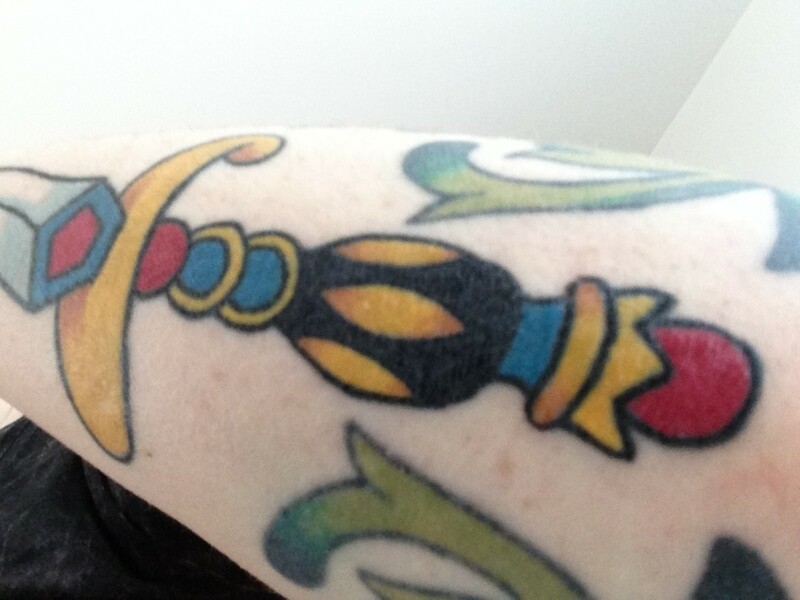 My tattoo is fully healed now (day 12), so just using a coconut oil on it once or twice a day now. My tattoo is a great colour. Hi Shaun. I don't know as I have never tried it. If it is the same consistency- like vaseline- then I don't think it would do any harm. If it is a cream, I would steer clear. For some reasons the creams don't work as well as the ointments. HI Jackie, thanks for dropping by and leaving your comment. I'm glad the cream is helping. The itching is the worst part for me because it is so difficult not to scratch!! I have not lost any colour yet from scratching, so it definitely works. Thanks so much for this, it's been very useful! My tattoist recommended coconut oil (the hard stuff that melts), and that was a lovely moisturiser, but would not stop the itching! I have just applied haemarroid cream and it worked wonderfully! Hey Dai, Thanks for stopping by. 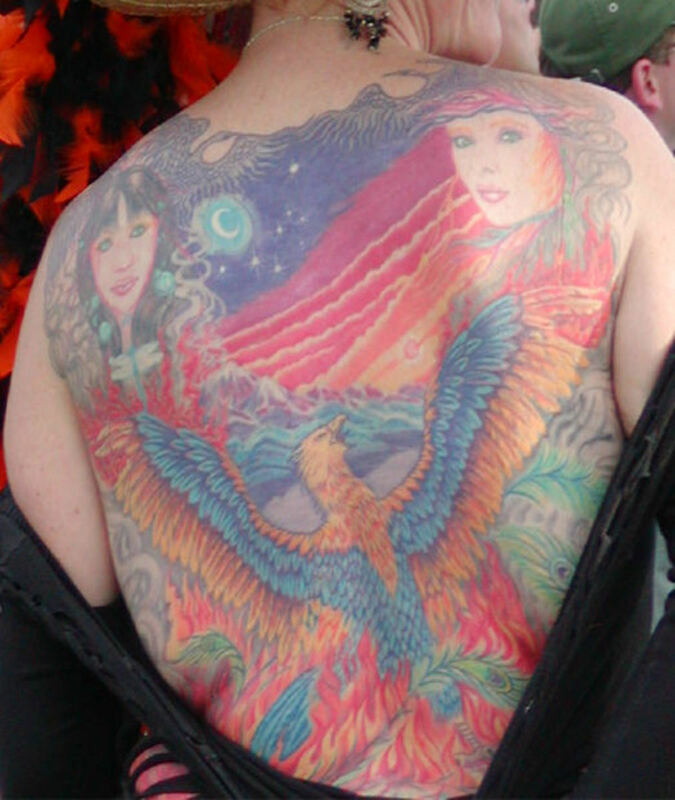 You don't need much diprobase for your tattoo, just enough to cover it thinly, and rub it in well. The amount is determined by the size of the tattoo, but I would generally say that a fingertips length amount would be enough for a medium to large tattoo. I hope this does not sound like a silly question? I had my 3rd piece of art done 10 days ago and it is all going well so far! I used to use some stuff called Tattoo Aftercare "totally natural" I do however use Diprobase for my head as it is shaved. How much as a guide should I apply to my tattoo? I got a tattoo last saturday its lil scabby not much itching but what could i keep putting till fully held. I got my tattoo 2 weeks ago and is red and itchy around the tattoo . Is annoying because is not looking like I thought you t would look.